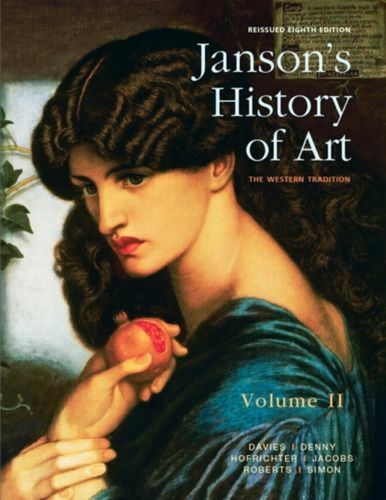 Janson's History of Art: The Western Tradition, Reissued Eighth Edition is also available via REVEL (TM), an immersive learning experience designed for the way today's students read, think, and learn. For enrollments of at least 25, the Pearson Custom Library allows you to create your own textbook by combining chapters from best-selling Pearson textbooks and by adding your own content, such as a guide to a local art museum, a map of monuments in your area, your syllabus, or a study guide you've created. Priced according to the number of chapters, a custom text may even save your students money.